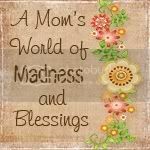 Mommy on the Edge: Holy Smokes, Batman! I have thought about this too. Maybe not financially but emotionally. People who are in a church community seem to be a lot happier and have a support system. Something I just do not have. The more I think about it though, if I were to start going to church it would all be a lie. I don't believe in organized religion. Good luck at church with Bubba. john lennon said it best...all you need is love. I like John Lennon. It wasn't until a few months ago that I learned "Imagine" was about atheism. Ha ha. Valeta has a totally valid point. I am not sure what you need. Once I realized I didn't believe in religion and God, my life fell into place. I think what I would like is Camaraderie. I know many, many religious people and I do not see them as happier at all. they are just the same as you and me. I think that into each life some rain must fall... maybe you got a downpour, but it will end.